If you're in the market for a new buggy, this could be the King of golf buggies as it is lightweight, sturdy and very portable. Have you ever wished your golf buggy wasn’t so bulky, or maybe the set-up and pack-away time was faster? No? As you were. Enjoy the pictures and keep your eye on the ball. Yes? Concourse might just have the perfect solution for you. Read on. The award-winning brilliant Concourse golf buggy is the smallest and smartest on the market. 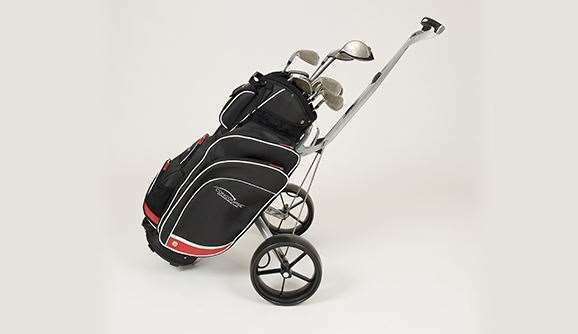 Designed to save you space and time along with outstanding on-course performance, the streamlined Concourse buggy remains attached to your bag, giving you a super-quick set-up and pack-away. It’s easy to operate with a one-touch open and close and has detachable wheels with a handy carry bag to keep the car clean. 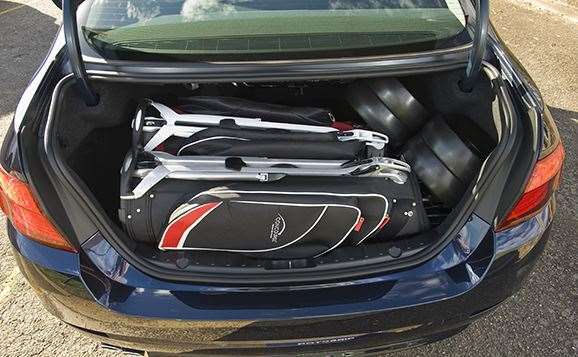 You will never have to struggle to fit all your gear into the boot again. Concourse folds flush against your bag, needing no more boot space than your bag alone. Fast intuitive operation has you completely set-up or packed away in seconds. Removing the wheels allows them to be stored in their own bag, keeping the car clean. On-course performance is effortless thanks to the lightweight durable design. Outstanding Australian innovation now sold in more than 20 countries. 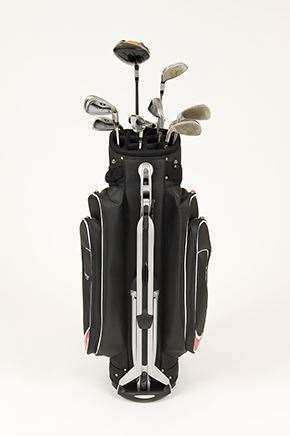 RRP: Concourse buggy $289; Concourse bag and buggy from $479.